Hi everyone, so first off Happy Canada Day to all my fellow Canadians out there!!! While I did want to do a traditional red & white manicure, I chose to go in a different direction this year. I am IN LOVE with this manicure and I HAD to share it with you guys!! As most of you know, I LOVE yellow nail polishes & lately I have been craving yellow nail polish (which is normal during Summer time for me) & I have been wanting to do this manicure for a long time (been waiting for some sunshine) and Canada Day was the perfect celebration for that. As well I would like to announce something exciting for my blog for the month of July. I shall be doing a blog entry EVERYDAY in the month of JULY!! Yep, I am going to blog everyday – I am going to try my very best to uphold this challenge. Along with this new challenge of mine I shall be introducing my Monday Manicures every week…hopefully I can get good pictures up considering it`s Mondays lol. 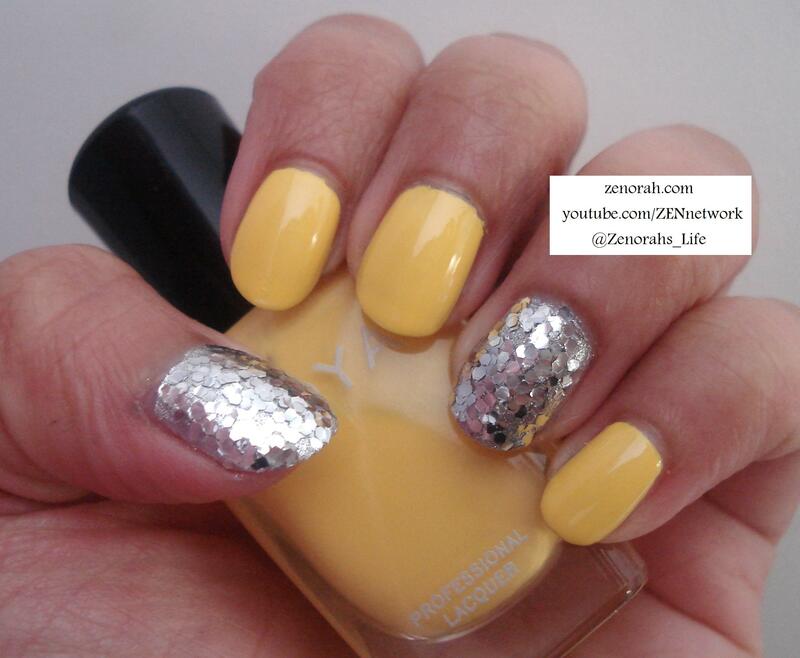 Do you own Zoya`s Pippa, Sally Hansen `Celeb City` or Milian`s `Silver` Glitter? What are your thoughts on these nail polishes? or this manicure?